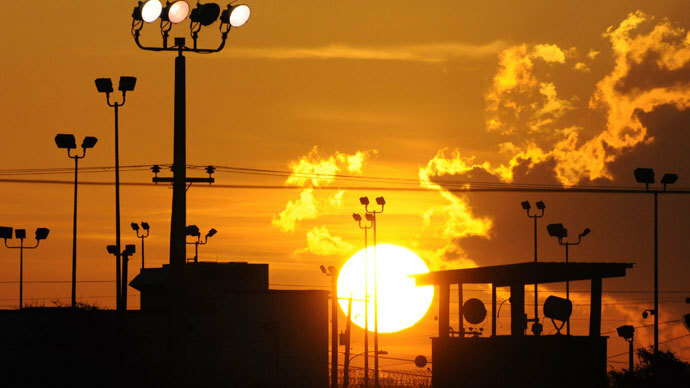 Nearly all of the Guantanamo Bay inmates participating in a hunger strike have accepted a meal, US military officials said Friday. The news is a possible indication that the immediate conditions of the protesters’ indefinite imprisonment have improved. Forty-five of the detainees are on the “enteral feed list,” according to Army Lt. Col. Sam House, a spokesman for the US prison camp. All of the 102 are still listed as strikers because the military requires someone to consume “solid food and caloric intake” for several consecutive days before that individual is reclassified. 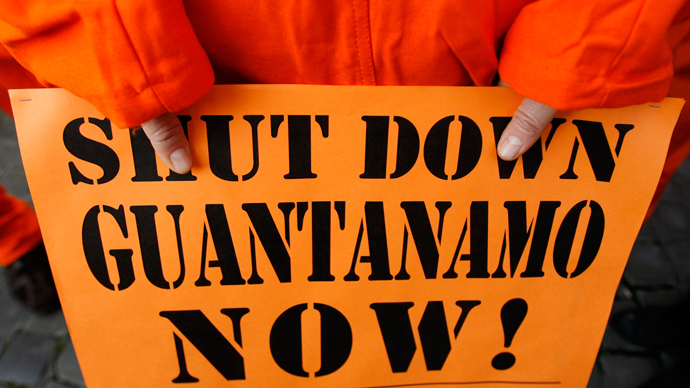 “Additionally, when an enteral fed detainee chooses to end a hunger strike, doctors monitor the re-introduction of regular meals at a controlled pace, to avoid ‘refeeding syndrome,’ which can happen when undernourished people suddenly consume food,” House said. 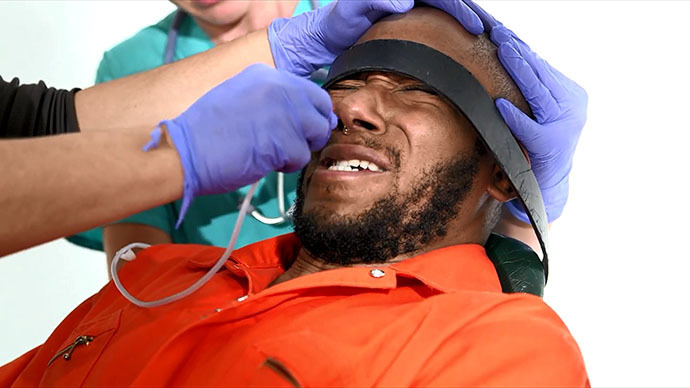 A US judge on Monday called the process of enteral feeding, when an inmate is strapped down and fed through a nasal tube, a “painful, humiliating, and degrading process,” although she said only US President Barack Obama had the authority to halt the feedings. 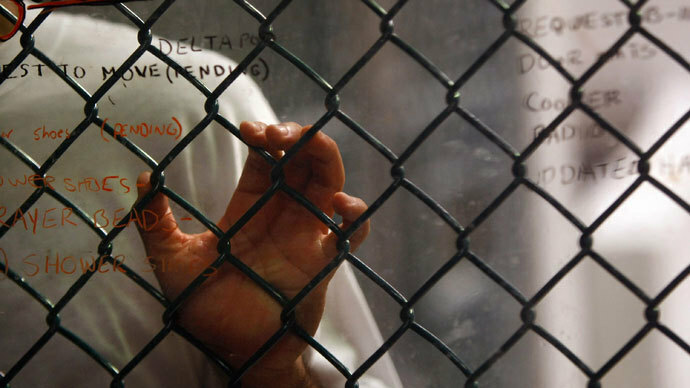 Navy Captain Robert Durand told the Associated Press most prisoners celebrated the first day of the Muslim holy period of Ramadan with a meal of lamb, adding that tension between the guards and inmates seemed to briefly dissipate. “We are just pleased that they are for the most part eating and for the most part we are having good order and discipline in the camps,” he said. Lawyers have warned throughout the more than 150 day strike to approach the military’s claims with skepticism. The military did not speculate on the reasons behind the sudden break in the strike, but critics have wondered whether prison officials relaxed the restrictions for communal living. David Remes represents five prisoners who have been force-fed and reminded reporters the ultimate goal is to break the deportation deadlock.